Go here for more about Gerald Ford. Go here for more about Ford's Inaugural Address. 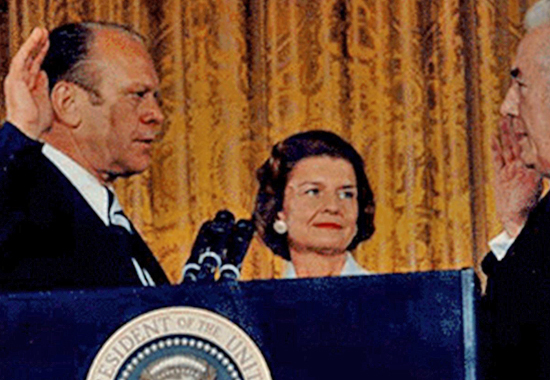 It follows the full text transcript of Gerald Ford's Inaugural Address, delivered in the East Room of the White House, Washington DC - August 9, 1974. Therefore, I feel it is my first duty to make an unprecedented compact with my countrymen. Not an inaugural address, not a fireside chat, not a campaign speech, just a little straight talk among friends. And I intend it to be the first of many.